Register Now. Early Registration Discount ends July 31, 2019. 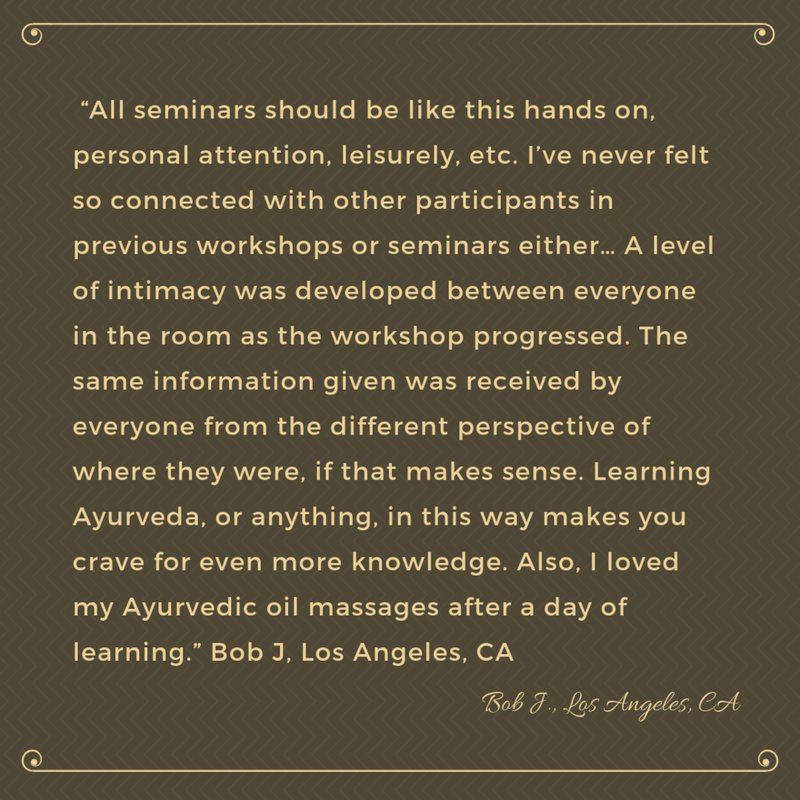 After several years hiatus, The Gerson Institute of Ayurvedic Medicine is once again proud to offer our comprehensive and personalized Residential Panchakarma Retreat program for a small and intimate group of guests. We have chosen for our home, the elegant and serene Magnolia Inn B&B, located in the quaint and artsy town of Mt Dora, FL. To Learn More About Panchakarma Read Here. To Learn More About Dr. Scott Gerson and GIAM Read Here. 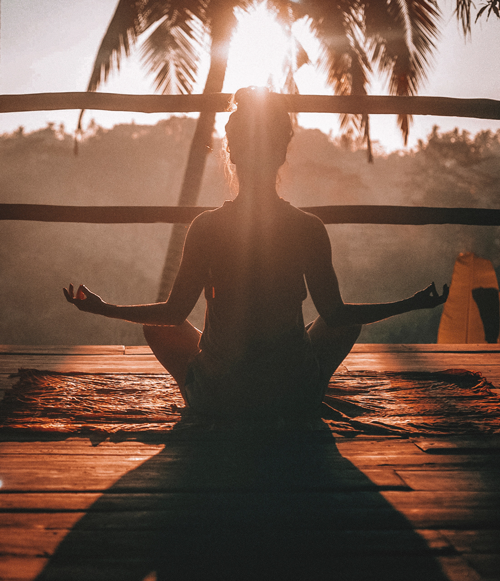 For seven days and six nights you will be in an Ayurvedically balanced environment, away from your busy life with its patterns, stresses, and responsibilities. You will be nurtured every day with Panchakarma treatments tailored to your particular needs as determined by Dr. Gerson. These will include hot herbalized oil treatments, steam treatments, herbalized baths, shirodhara. Additional treatments such as anuvasana and niruha bastis (enemas), vamana (theraputic vomiting), netrabasti (unctuous eye bath treatments), and a variety of other procedures and medicines may be administered as appropriate for your specific health status and constitution. Dr. Gerson is a Ph.D. Scholar in Panchakarma from the University of Pune and is considered one of the world's experts in the clinical administration of these treatments. To reserve a space a non refundable deposit of $1000 must be received 1 month prior to the Retreat. The balance must be received by ten days prior to the Retreat. We have many interested individuals but are limiting enrollment to 6 people in order to in order to maintain intimacy and harmony. Please contact us as far in advance as possible. 4 available rooms with ensuite bathroom. Larger room to share with two double beds with ensuite bathroom. Includes yoga facility. Due to the nature of Panchakarma retreat preparations, scheduling, supplies, and personnel salary commitments there are unfortunately NO exceptions to our refund policy within 2 months of the event. This includes illness, emergencies, or other "acts of God." In the event that you cancel and we are able to fill your spot, we will gladly issue a full refund. Reservations cannot be transferred to a future retreat. Thank you! Someone fromGIAM will be in touch with you shortly. Scott Gerson, M.D., Ph.D. is one of the country’s leading authorities and researchers in Ayurvedic Medicine. Dr. Gerson received his initial formal training in Ayurvedic Medicine at the Ayurvedic College in Trivandrum, India and subsequently earned his Masters and Ph.D. degrees in Ayurveda at the prestigious Tilak Ayurved Mahavidyalaya and the Pune University. He was awarded his Fellowship in Ayurveda from the Institute of Indian Medicine, also in Pune. He is now an Associate Professor at Pune University, Faculty of Ayurved. He received his conventional medical degree from the Mount Sinai School of Medicine in New York City, where he helped to establish that institution’s first course for medical students on alternative medical treatments. He has served as an advisor to the National Center for Complementary and Alternative Medicine, the NIH, the National Cancer Institute, and several other institutions. Dr. Gerson is also the executive director of The Foundation for Holistic Medical Research, a 501C-3 non-profit organization that objectively evaluates complementary medical therapies for safety and efficacy. Dr. Gerson sees private patients in his Lake Mary, Florida and NYC medical practices and is Clinical Assistant Professor, Dept. of Community and Preventive Medicine, New York Medical College.